Welcome to another Percona Live Europe featured talk with Percona Live Europe 2016: Amsterdam speakers! In this series of blogs, we’ll highlight some of the speakers that will be at this year’s conference. We’ll also discuss the technologies and outlooks of the speakers themselves. Make sure to read to the end to get a special Percona Live Europe registration bonus! In this Percona Live Europe featured talk, we’ll meet Philipp Krenn, Infrastructure | Developer Advocate at Elastic. His talk will be on Elasticsearch for SQL Users. Elasticsearch is a document store with its own query DSL. In his talk, he will look at several well-understood concepts and SQL queries from the relational paradigm and map these to their Elasticsearch equivalents. Give me a brief history of yourself: how you got into database development, where you work, what you love about it. I have switched between development and operations a few times and have been focusing on cloud and databases lately. This includes relational and non-relational databases, and how to find the right mix of solutions for projects. Since I started participating in more and more meetups and events, I was lucky to join the great team at Elastic. I now get to spread the good word and work on the infrastructure team. Now I can be found at lots of events, and I absolutely love to get out to the community and talk about all things search, database, metrics, operations and tech in general. Percona: Your talk is called “Elasticsearch for SQL Users.” What is Elasticsearch? How can businesses use it to improve their database environment? Philipp: Elasticsearch started off as a full-text search engine, providing the distribution, REST interface and Query DSL around the well-known Apache Lucene library. By now it covers logging, metrics, analytics, security and many more uses cases – but we’ll focus on search. Many businesses have the need for a search that just works. While this sounds very simple, it can be challenging to implement, and many databases are just not for this task. That’s why Elasticsearch is a fantastic tool that you can add when you need a powerful search. Percona: Why is bridging the worlds of relational and NoSQL databases important? Philipp: Both sides are around to stay. I feel that the relational and the NoSQL worlds are growing closer together. Relational systems are getting better at scaling and replicating, as well as adding more flexible data types. Whereas NoSQL systems are adding more features, such as SQL-like interfaces, and slowly improving their tooling. Bridging these two worlds seems to be very fruitful to both, so anybody using both databases can only profit. Percona: Where do you see MySQL and NoSQL heading in order to deal with some of the database trends that keep you awake at night? Philipp: It’s a very dynamic landscape, so picking the right tools is not getting easier. And neither of the two systems will replace the other one anytime soon. I imagine a healthy competition for the future, which will hopefully allow all of us to have fewer sleepless nights, because I don’t consider being awake at night a feature! Philipp: Lively discussions and arguments. Building products is just the start. Spreading the word, getting feedback, seeing how you can integrate with other solutions: these are all reasons why conferences are so valuable. You can read more about Philipp and his thoughts on searches at his website and Twitter handle. Want to find out more about Philipp, Elasticsearch and database searches? 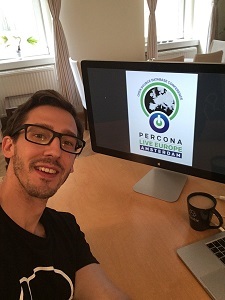 Register for Percona Live Europe 2016, and come see his talk Elasticsearch for SQL Users.